3 Rivers Wealth Management Group and 3 Rivers Tax & Business Services are proud supporters of our active duty, reserve, retired and veteran military members and their families. For Business Owners, we specialize in working with Business Owners to ensure they are getting the most from their business through smart buisness planning and advanced tax plannning strategies. We also are able service Business Owners for Retirements Plans, Group Life & Disability Insurance, Defined Benefit Plans and Health Insurance. Please contact us today for a complimentary personalized consultation. For Business Owners, we specialize in working with Business Owners to ensure they are getting the most from their business through smart buisness planning and advanced tax plannning strategies. We also are able service Business Owners for Retirements Plans, Group Life & Disability Insurance, Defined Benefit Plans and Health Insurance. 3 Rivers Tax & Business Services Contact us today for a complimentary personalized consultation. Kristi Hilbert, President of 3 Rivers Tax & Business Services and Vice President of Marketing for 3 Rivers Wealth Management Group, joins her felllow Honorary Commander 2014/2015 Class and Airmen of the 171st Air Refueling Wing during their tour of a KC-135 aircraft. 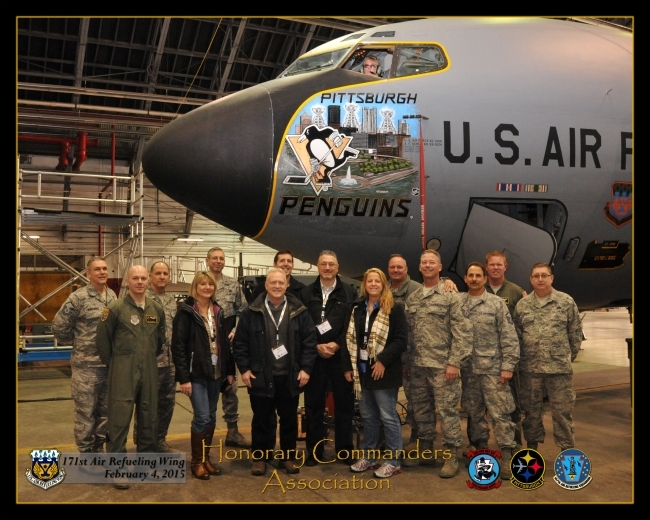 Both Kristi and Bradley Hilbert, President of 3 Rivers Wealth Management Group have participated in the Honorary Commanders Program hosted by the 911th Air Lift Wing and the Pittsburgh Airport Area Chamber of Commerce. It is a program designed to allow local business owners to spend time at local bases learning about how they serve our country and contribute to the local Pittsburgh economy. Bradley & Kristi also run the Bridges Kids Club, which is a group of children ages 4-19 in the local Pittsburgh area that do philanthropic work for other local children. The Bridges Kids Club is a big supporter of our local military families and hosts joint forces events at Halloween, Christmas, Easter and for Family Days while helping to provide support to base Familiy Readiness & Support Staff for individual needs throughout the year. To find out more about upcoming Bridges Kids Club events, please visit the Community Section of the network or Click Here to Visit Bridges Kids Club Website.